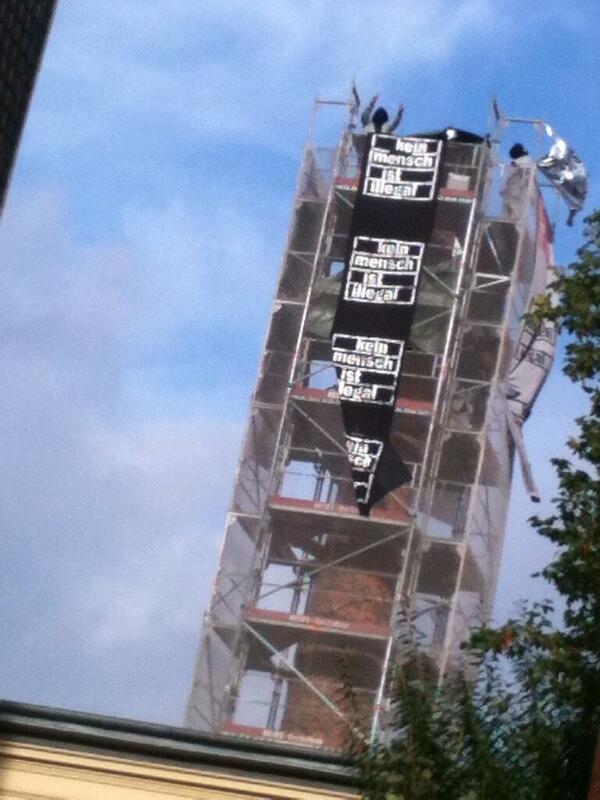 Yesterday, October 26, about 100 supporters came to the chimney after the demo which took place in the afternoon. After the police ordered people to determine a person who takes the responsibility and leads the gathering (this person has to register the demo ofcourse nobody did as we don’t need no leaders, remark by Enough is Enough) they started to clear the street. They enforced this with batons and pepperspray. Watercanons and armored vehicles were also ready to assist the riot cops. Because of the use of pepperspray several protesters were slightly injured. From here: Get well soon!